Far beyond the gates of Rome, the world’s first detective descends into the Pagan frontier! 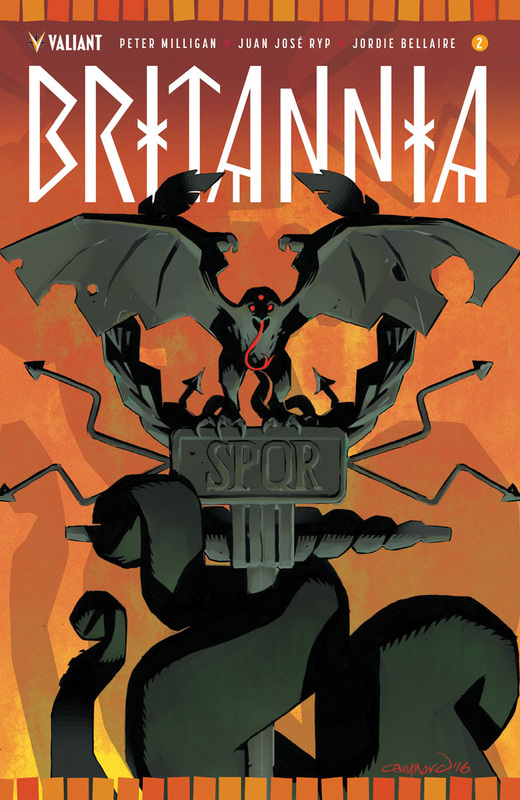 Valiant is proud to present an advance preview of BRITANNIA #2 (of 4) – the second blistering chapter to Valiant’s latest prestige-format epic from comics master Peter Milligan (X-Men, Detective Comics) and incendiary artist Juan Jose Ryp (NINJAK, Clone)! This October, duty leads to darkness when Antonius Axia, the world’s first detective, is dispatched to a land where order, sanity, and law hold no authority. 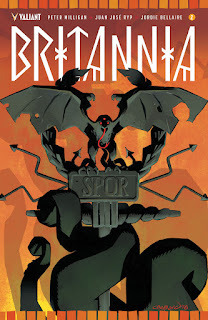 As reality threatens to unravel with each step into his inconceivable investigation, Antonius must rely on his fractured mind to keep Britannia’s untold horrors at bay…and his very soul from shattering! Dispatched to the remote outpost of Britannia by Rome’s highest power, the ancient world’s first detective – veteran legionary Antonius Axia – has found himself on a horrifying journey that will challenge everything he knows about death, destiny, and the limits of reality itself. But in this wild and pagan land, far removed from Nero’s control and influence, how will he grapple with the witches, demons and deities that lurk just out of sight These are aberrations beyond the comprehension of a citizen of history’s most civilized empire…and, as Axia searches for the truth behind their making, he must first ask himself: Are these monsters truly creatures of myth...or creations of his own mind? 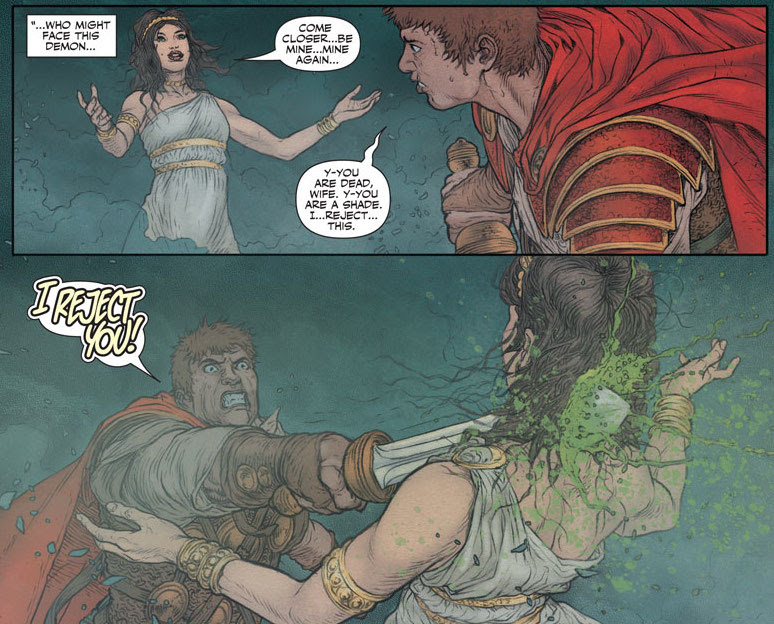 "Antonius tries to adopt what we might call a 'rational' attitude toward the world or toward problems: whereas many Romans would seek to sacrifice to the gods or look to those gods for an understanding of why something happens, or what a person is as they are, Antonius seeks to understand cause and effect," series writer Peter Milligan told Comic Book Resources. "He seeks to understand the psychology of a person by means of clues, by evidence." On October 12th, be there as Peter Milligan and Juan Jose Ryp lead a phantasmagorical expedition in the lands between darkness, desire, and destruction. “THE FUTURE OF VALIANT” takes its most menacing journey yet in an unrelenting trial of the spirit, only in BRITANNIA #2 (of 4) – featuring covers from Cary Nord (X-O MANOWAR), Adam Gorham (DEAD DROP), Juan Jose Ryp(NINJAK), Ryan Lee (Inhuman), and Dave Johnson (Superman: Red Son)! DIVINITY III: STALINVERSE #1 (of 4) by Matt Kindt & Trevor Hairsine in DecemberFor more information, visit Valiant on Facebook, Twitter, Tumblr, Instagram, and ValiantUniverse.com.